Archive your classes and assignments to clear the clutter and then unarchive them when you need them again. Classes and assignments can be archived and unarchived at any time. Archiving a class is useful as it hides unnecessary classes from your daily view, and it keeps your files safe in case you need them again. It’s sort of like deleting, but with a safety net! With Showbie, you’ll never accidentally lose your classes. There are two ways to archive and unarchive things in Showbie: iOS devices can use the swipe method and all devices can go through the Settings. 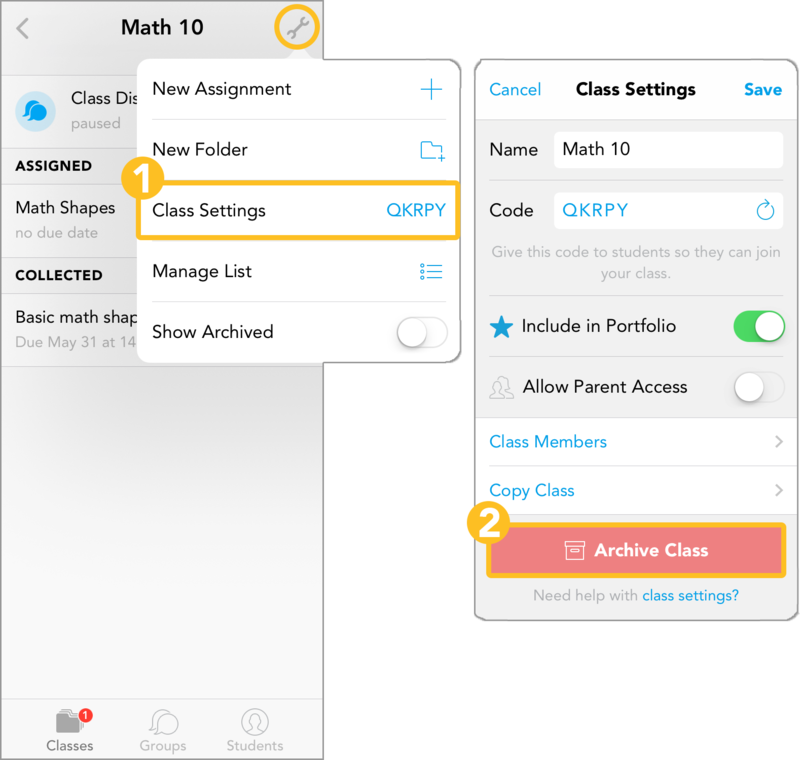 Also keep in mind that if you don’t have Showbie Pro, archiving classes and assignments will decrease your number of active assignments. On the other hand, you will only be able to unarchive items if it doesn’t put you over the active assignment limit. Swipe from right to left directly over the class/assignment you’d like to archive/unarchive and then tap the red button. That’s the Copy button! Tap on that button to make a copy of the class/assignment. Maybe you don’t want the items to come back – delete them instead and say farewell forever!